28 Ounces in Each Can (#2 1/2 cans), 1 3/4 Pounds of US Raised and Commercially Canned meats per can, fully cooked and ready to eat! 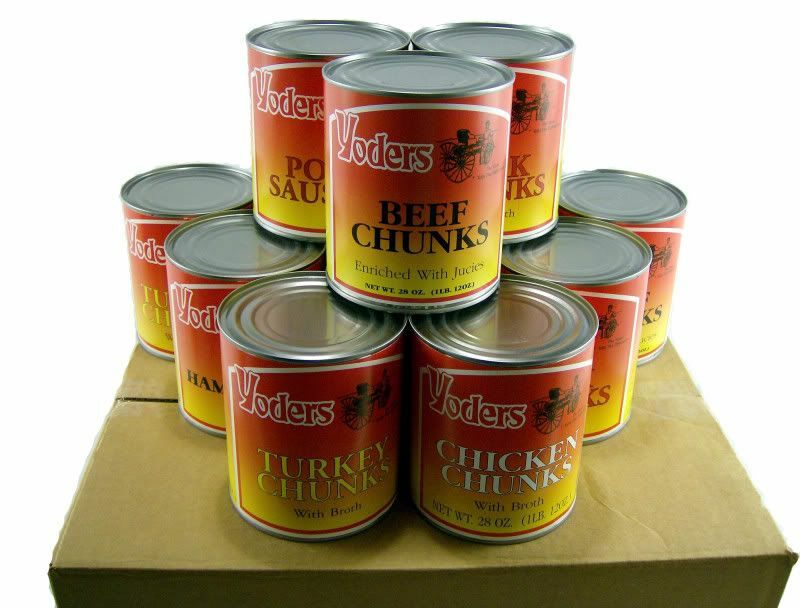 A total of 21 Pounds of Yoder’s Canned Meats. This Variety Pack is a great way either to try the fantastic meats before you buy a case of each or to ensure you get the most variety as possible on a limited budget. Chicken Chunks: Chicken, Water, Salt. Pork Sausage: Pork, Salt, Sugar, Pepper, Red Pepper, Nutmeg, and Ginger.